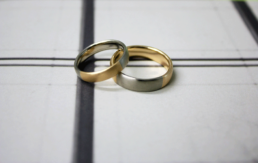 A wedding band design that represents the most cherished story arc two people can share. 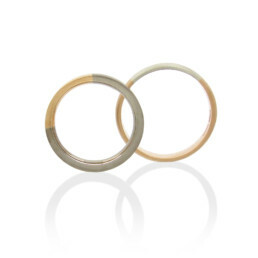 Couples can choose two colours to represent each other, and a small slice, or Arc, of the other’s colour is inserted into their ring completing the circle. 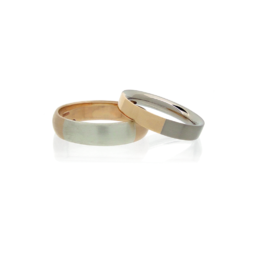 Choose from a palette of colours in 9k, 14k and 18k Fairtrade Gold, all of which are all hand-alloyed in the workshop. Recycled Palladium and platinum is also available. Profiles and width can be customised.